The typical block schedule of a third year medical student consists of varying weeks of “core electives” ranging from surgery to psychiatry. 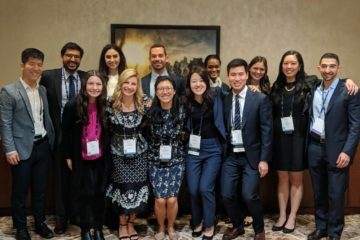 Whether your medical school offers elective flexibility during your third year or fourth year, many electives exist which lend applicability to interventional radiology. Each school varies in terms of required electives—however, you certainly will have some input over your schedule. 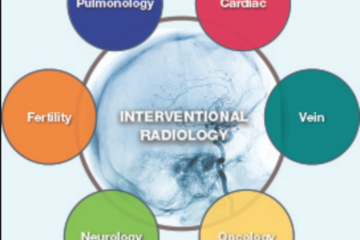 Whether you are an M3/M4 actively planning your schedule, or you are beginning to think about clinical rotations as a preclinical medical student, below is a guide of non-IR electives that may be helpful as you pursue a career in interventional radiology. Diagnostic radiology: The vast majority of IR/DR program directors recommend applying to both IR/DR and DR if interested in the IR integrated pathway. Program directors want to know that you enjoy diagnostic radiology, as it comprises a large portion of the training in the IR/DR integrated residency. Furthermore, diagnostic radiology is the foundation upon which IR is built. Whether you focus an entire block (or two) on diagnostic radiology, or split a block into both interventional and diagnostic radiology, it is quite important to demonstrate and articulate your enthusiasm for diagnostic radiology. SICU: The surgical ICU is an excellent rotation for learning the management of very sick patients. Of note, the population treated by interventional radiologists often involves complex patients who present with a long list of comorbidities. Interventional radiologists can offer minimally-invasive procedures to patients who are otherwise unsuitable surgical candidates. In addition, interventional radiologists can provide a variety of palliative treatments. Management of medically complex patients is a such a vital skill that IR/DR residencies have incorporated ICU rotations into their training programs. This change is also consistent with the trend of IR becoming a more clinically-oriented specialty. Transplant Surgery: IR is replete with hepatobiliary interventions, and there is no better place to gain first-hand exposure to the liver and kidneys than through the transplant surgery service. It is fairly common for the IR service’s Y90 and TACE hepatocellular carcinoma patients to be on a liver transplant list, and transplant surgery is a great way to gain appreciation for the ultimate goal of your bridge therapy. Vascular Surgery: Given the recent history of turf battles between vascular surgery and interventional radiology, it is no surprise that a vascular surgery rotation is extremely relevant to IR. In some institutions, IRs still perform EVARs and thoracic aorta stenting. Principles of vascular access and stenting are invaluable. In addition, learning to differentiate venous from arterial peripheral vascular disease will be helpful in the IR clinic. Trauma: Performing a traumatic embolization can be one of the most intense and thrilling parts of interventional radiology. This rotation will give you insight into how patients are assessed and treated in the trauma bay before the patient is transferred to the IR suite for intervention. Medicine: If you choose a preliminary surgery intern year, the fourth year of medical school may be your last chance to rotate on a medical subspecialty service. However, if electing to do a preliminary medicine or transitional year, you will undoubtedly have more medicine electives and requirements than your preliminary surgery colleagues. Therefore, these rotations will be helpful preparation for intern-level medicine rotations in which you have more responsibility. GI/Hepatology: For these patients, interventional radiologists perform a wide variety of liver and biliary interventions, including TIPS, biliary stenting, biliary drainage catheter placement, cholecystostomy drain placement, and more. Furthermore, IRs can diagnose and embolize a GI bleed, as these patients are prone to bleeding events. Nephrology: Nephrologists tend to have their own opinions regarding the recent controversy of whether or not contrast truly affects renal function. Additionally, these physicians are an excellent resource for learning about renal pathology commonly treated by interventional radiologists, including obstructions, renal cell carcinoma and angiomyolipomas. Urology: The scope of genitourinary interventions has experienced tremendous growth in recent years. Interventional radiologists now perform prostate artery embolizations, uterine artery embolizations, and varicocele embolizations. Urologists also have their own set of neat devices for performing complex procedures in tight spaces. Hematology/oncology: Many cancer patients need feeding tubes and ports for chemotherapy. Other patients with hematologic diseases like myasthenia gravis need tunneled dialysis catheters. This service can enhance your understanding of the clotting cascade and gain appreciation for the “bigger picture” of treatment plans and goals for heme/onc patients. Cardiology: An IR physician should be able to read cardiac rhythm strips and interpret intra-procedural EKG abnormalities. The IR attending is responsible for calling a cardiac code if necessary, and the only thing worse than hesitating to call the code is not calling the code at all. Anesthesiology: For the naysayers who argue that they will only be using midazolam and fentanyl for the rest of their careers, airway management principles will prove to be useful. Some IR physicians prefer deeper sedation as opposed to conscious sedation. In fact, many pediatric IR cases are performed under general anesthesia, albeit under the watchful eye of an anesthesiologist. Anesthesiologists are vital sign gurus, and you will likely be happy you chose to be their observant student. Emergency Medicine: One of the key aspects of emergency medicine training is learning how to work up commonly-presenting symptoms and how to triage effectively. The ability to discern a true medical emergency from a less-threatening constellation of symptoms is the mark of a skilled clinician. Additionally, the emergency department typically orders the most imaging studies out of all the departments in the hospital by total volume. 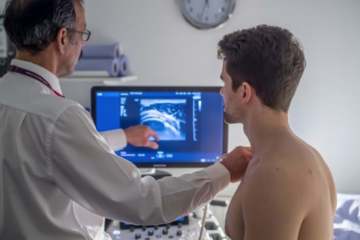 Understanding when and why to order certain imaging tests will be extremely helpful as an IR/DR or DR resident, as is understanding when to consult IR. Note: this list is not meant to be all-inclusive.